At the end of W.W.II. 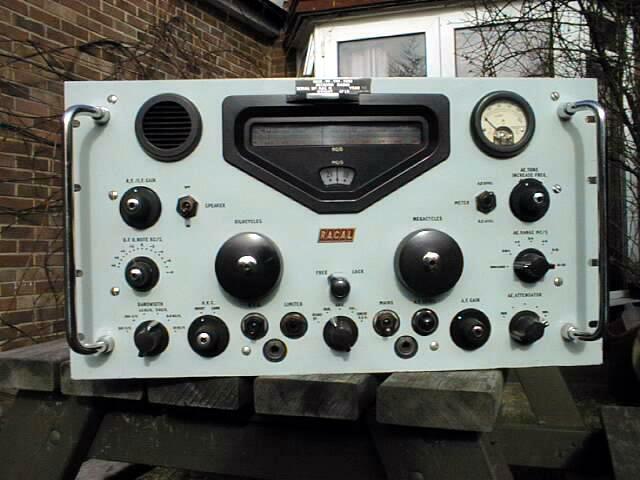 Britain saw the need for a high quality locally produced HF communications receivers. It was decided to manufacture the American Collins 51J-x under licence in England. The contract fell through when it was found that Collins licensing required that, only approved American Collins parts are to be used in the construction of the new sets. Britain then decided to design and manufacture their own communications receiver. Racal won the government contract in the early 50's and designed and manufactured the RA-17, based partly on the Collins 51J-x look and size. The RA-17 was originally designed for British Navy. 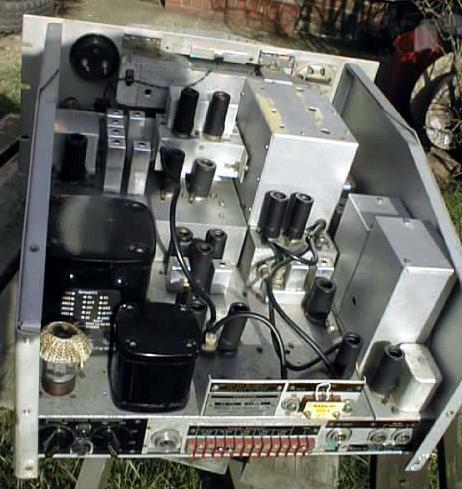 The design was so successful, that they were ultimately used by all the services and were to become the main receiver of the British radio surveillance organisation known as G.C.H.Q. The sets success was due partly to the famous Wadley-Loop, a clever new circuit at the time, which very effectively minimised frequency drift. The Racal RA-17 is Triple Conversion Super-heterodyne general coverage communications receiver. Using 23 Tubes it is built on a heavy duty cast aluminium chassis. Frequency range 980kHz to 30MHz. 145 feet long Film Scale frequency read out, AM/CW, Selectivity 8,3,1.2,0.75,0.3, 0.1 kHz -6dB. Has 2 parallel 100kHz IF outputs, AF outputs, 600 Ohms Headphone Socket, Signal/AF meter, RF Gain control, 100 kHz calibrator, BFO 8 kHz, built in 2.5 Speaker. Operates from 100-125 / 200-250 VAC, 45-65 Hz, 85W. Physical size 520*305*556mm, 29 kg. These RA-17's have been serviced and are in good condition Grades 2 Tested and Operational. Supplied with mains input cable and antenna connector.